One brand that has become synonymous over the past few decades with both high quality sound systems, as well as sleek and attractive product designs, is Bose. While Bose outlet stores litter malls across America and the world, and the company has been well established as a trusted name in home entertainment for years now, one of the most remarkable qualities of Bose has been its continued ability to remain current and cutting edge, despite competing with some rivals with very deep pockets. 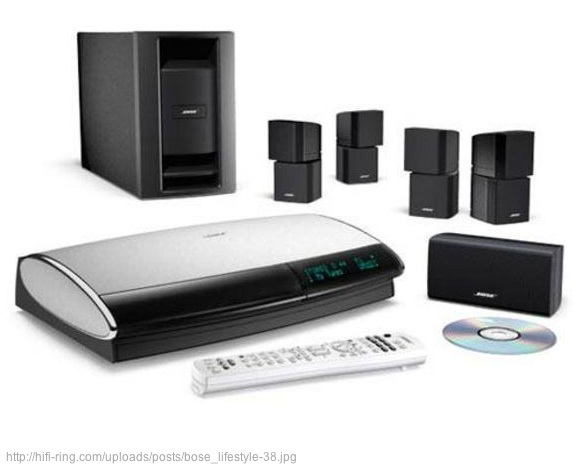 A Bose home theatre sound system – the highest of sound quality in a compact and sleek design consumers appreciate. With a widening array of products offered at a widening variety of prices, Bose has continued to expand its market reach into new segments while still retaining the same high-ticket items that established its brand in the first place. In a crowded arena of powerful competitors, Bose has continued to carve out a dedicated niche of luxury item admirers looking to bring the latest and greatest technology to their home entertainment systems. The company is relentlessly committed to research and development and puts all of its products through testing you would expect from NASA. The attention to detail from Bose has guided it through boom and bust economies unscathed – despite being an ultra high-end brand. Click here to see the kind of rigorous testing Bose puts its products through. A Normal Speaker System Isn’t Cool. A Bose System is Cool. The beauty behind Bose’s continued success remains the company’s initial branding approach. In the fashion of other high-end home luxury item wholesalers (such as Brookstone or Sharper Image), Bose initially unveiled its products specifically to attract customers with disposable income, looking for the latest in cool features and new technologies to add to their home entertainment systems. Bose marketed itself specifically as a high-end, cutting-edge alternative to the more basic sound systems offered in big box stores like Target and Wal-Mart. The effect this had was to add a panache to the Bose name, an inherent coolness that continues to draw consumers to its higher-margin (and higher-priced) speaker systems, despite the tough economic times. Even as technology has moved from stereos and CDs to Bluetooth connections to mobile devices and smart TVs, Bose systems have been continually adapted and designed to bring the same consistent sleek design to a consistently current technological system. Speakers and sound systems, unlike many other forms of home entertainment, are going nowhere anytime soon. Portable MP3 players will continue to drive the demand for high quality audio systems and gadgets from a company like Bose. Consistency, style, and branding, the three elements that have made up a successful formula for Bose for a number of years now. The company was originally introduced with a focus on cutting out a niche among luxury item consumers, complete with a dedicated focus on branding and product design, and over the years it has stayed true to its founding principles. As such, Bose customers who have enjoyed the company’s high-quality products for years have now come to relate the Bose name as the premium experience in home entertainment or audio systems. Bose has taught us as entrepreneurs that developing a calculated plan for establishing a niche, aligning product and service designs to mesh with this plan, and then consistently executing it on a regular basis allows a company to ensure satisfied customers come back again and again. Even amongst the rapid wave of advancing technologies in home entertainment and audio systems, Bose’s ability to connect its products in consumers’ minds with luxury living and the highest quality has made it a brand that is built for the long haul, even in a crowded field. Adam Hausman is a capitalist and educator of many ventures. His ventures include ClickChores.com, a micro task service network, as well freelance work with sites like TabletLeader.com. Adam is particularly interested in the continued growth of the service networking economy, which is connecting people to share resources and skills and make life easier collectively. His own current ventures, as well as new ones he and his former roommates at Indiana University and the University of Illinois-Chicago are scheming on now, are trying to grab a piece of this emerging market.